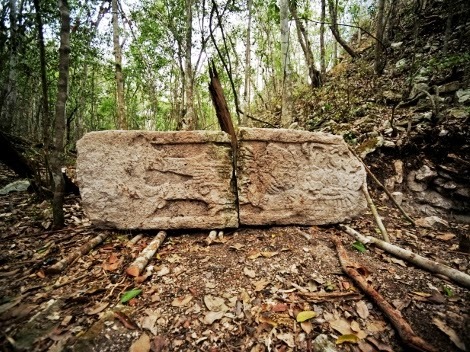 Archaeologists have discovered the ruins of a long lost Maya city in the jungle SE of Campeche state (Yucatan Peninsula, Mexico), in the historical Maya region of the central lowlands. The newly discovered city, Chaktún, occupies some 22 Ha. and is believed to have been an important local power between 600 and 900 CE. It was hidden in the northern area of the Biosphere Reserve of Calakmul, near the Guatemalan border. 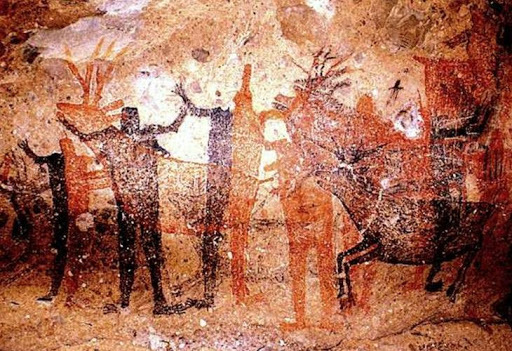 Catalan researchers from the IPHES have been studying the impressive rock art of the caves of Baja California Sur (Mexico) and concluded that some of the art is from c. 8-9,000 years ago. However contextual dates are sometimes older, of c. 10-11,000 years ago. Source: El Universal[es], which has many more photos. For decades it was believed, following the pioneer work of Clement Meighan, that the art was from the 13th century CE. However in the 1980s the more in-depth research by Catalan scientists revealed that it is in fact from much older dates, at least 5,000 years ago. These days it has been revealed that they are even older in some cases. The rock art is distributed by many areas of Baja California Sur, very especially the Sierra de San Francisco, which alone hosts more than 250 sites. These sites were often occupied through millennia, until the 18th century CE in some cases. Even later they have been used as shelters for sheep, however nowadays they do enjoy state and UNESCO protection. In the particular case of La Pintada there are many markings of astronomical type, spots where it is indicated that the Sun illuminates in certain time of the year, signaling a date in their calendar. That way they knew that, when the Sun hit one of those marks, it was time to collect the pitahaya or that the rain period was nearing. 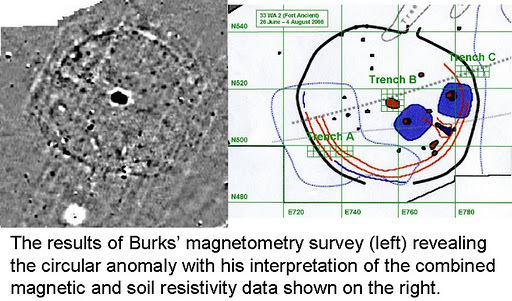 The research is part of an international project by IPHES and the Instituto Nacional de Antropología e Historia (INAH) of Mexico, which is surveying the prehistory of the North American federation. The study will be published as the doctoral thesis of lead researcher Ramón Viñas Vallverdú (IPHES). Source: El Universal[es] (includes a very beautiful photo-gallery). This ritual enclosure of the intriguing Hopewell culture, which is being dug now, is dealt in detail at Ohio Archaeology Blog → link 1, link 2. These would be part of the Adena culture, precursor of Hopewell, and this site in coastal Maryland has yielded not just evidence of them but layers and layers of associated artifacts, with the oldest being as early as 10,000 BP (most are from 5000 to 1000 BP however). commit them to a common burial ground. they moved to Pennsylvania from the Eastern Shore. skeleton or fresher remains. But the bodies were intact, or mostly so. points, beads, gorgets, and other items. All broken into bits. 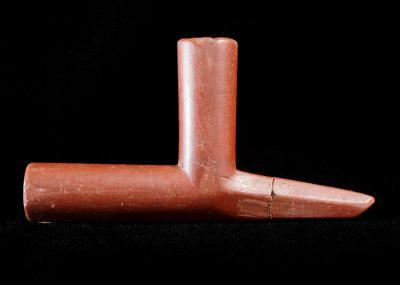 The site of Tremper Mound (Ohio) has been known for a century now but it was assumed that the many pipes found there were carved from local stone. That has been now demonstrated to be mostly wrong: only less than 20% of the pipes were made from local materials, instead 65% were carved in flint clay from Northern Illinois and 18% in catlinite from Minnesota. 50 km north of Mazatlan (Sinaloa, Mexico) lays the rock art site of Las Labradas. Not far from there, at La Flor del Océano, archaeologists have now discovered spearheads, knives and other tools made of stone. The skeleton known as Tulum man, found in a cenote (flooded underground chasm) in Quintana Roo, Mexico, and which was not yet retrieved from site by archaeologists, has gone missing. The Tulum man was dated to at least 10,000 years ago and therefore was one of the key pieces in the reconstruction of the Prehistory of America. The managers of the research project, dependent of the National Institute of Anthropology and History (INAH) have denounced having been repeatedly the victim of thieves. That in spite of having kept a policy of strict discretion about the exact location of the findings. Requests of help have been distributed among divers because such a heist would have needed the participation of several of them.